Did anyone else notice a giant burrito floating over Bernal around lunch? Bigger question: is this related to Star Trek IV? You sure there’s a burrito in that photo? I see sky and a few clouds … you doing ok? It’s nothing more than light reflecting off clouds. If you think it’s anything else, you are a conspiracy theorist nut. 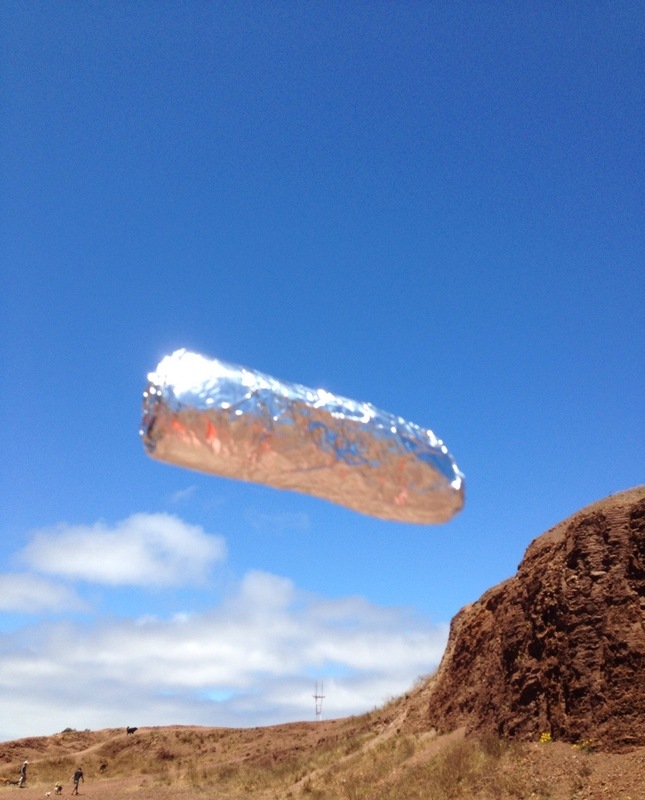 that looks like a tasty burrito in the sky!